Ting-a-Ling is a 1969 Thompson T24 sailboat. The T24 was designed by Guy Thompson in 1967. According to web resources, there were about 120 T24's built but information on the web is extremely limited and there is no owners association as far as I can tell. You can read an old review here and get some specs here. I believe there were 4 or 5 different variations, each with a slightly different sail plan and two keel options: iron or lead. The T24 is regarded as a fast, very seaworthy and pleasurable to sail boat by people that have spent some time sailing it. It's pointing ability and spacious interior are also among the charactiristics that make the T24 stand-out. In fact all comments I've found on the T24 have been extremely favourable so it seems to me that this is a boat worth investing some time, effort and money in. One disadvantage that frequently comes up in reviews or discussions is the plywood deck and coach roof that can often leak or rot if not properly maintained. The deck-stepped mast may also cause compression to the coachroof. Both of these problems were present on Ting-a-Ling when I acquired her. "I don't think you will find any 24/26ft yacht that sails better than your boat (ignoring very light winds) particularly when the wind picks up. 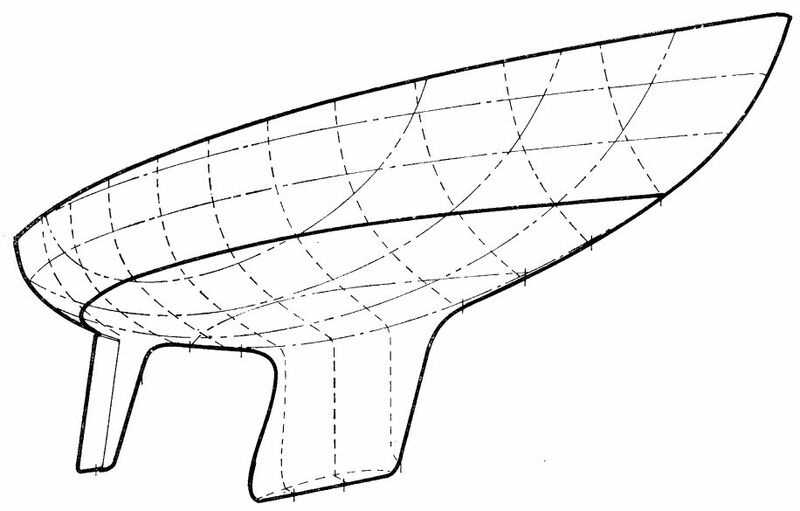 Points to wind very well and the hull shape is beautiful. I hope you have a load of fun with her. This is one boat that is worth putting some effort into. You can pick these up at a reasonable cost because they often need work on the superstructure but if they were all GRP then they are a match for a Contessa 26, better in my view because they have more room in them and they are a dryer boat." "The T24 is a lovely boat - and very good in rough conditions. A bit heavy by modern standards, but particularly fast to windward in a good bit of wind. She has a very noticeable "groove" when she gets going on a beat and you can clearly feel if you've let her go off the boil. Can have a little lee helm in very light conditions, but I only ever broached once in lively conditions and I was tying my shoelace at the time, so I guess I deserved it! Keep a close eye on the woodwork, decks and superstructure, she's built in the traditional way of wooden boats and any leaks will lead to later problems. The GRP hull is built like a brick outhouse. Various keels, my favourite is the cast iron with a bulb on the bottom." "I can say she was a first class sea boat and always felt safe." 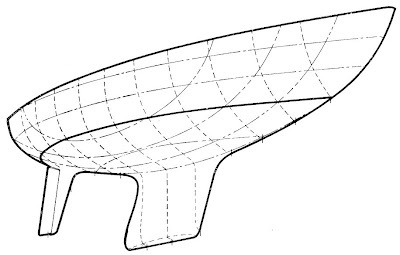 Bulbed fin keel, steady and good upwind, but needs a kite downwind. Very capable go anywhere boat - suitable for chippies, as they usually have wooden decks and superstructure." 1996 Yanmar 1GM10 9hp engine. I also list my sail sizes for reference. There are a few variants of the T24 with slightly different sail plans. And finally, here are some plans for anyone interested. Click on them for a larger image.